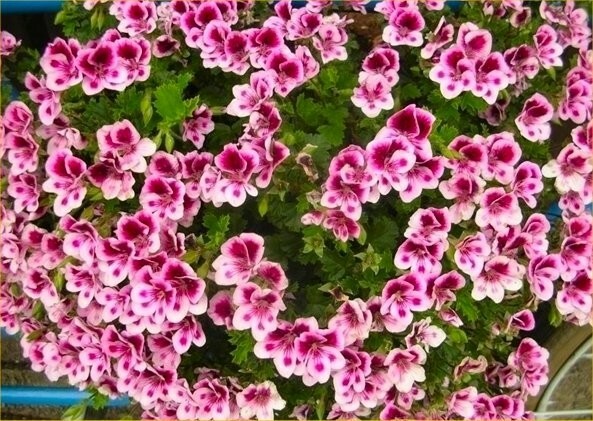 These Angel Pelargoniums are fantastic plants with beautiful pink and purple flowers that cover the branches from late Spring to early winter, and will continue all year rounds if kept frost free indoors. Originally from South Africa, they can take all weather bar the harest cold, and will tolerate scorching temperatures in summer, even forgiving you if they miss the occassional water. The deep green ruffled foliage is aromatic and carried on succulent branches that become woody over time. Ideal for conservatories and perfect in patio containers which can be moved to a frost free position in winter. In mild areas on well drained soils this half hardy sub-shrub may even be grown in sheltered borders outdoors. 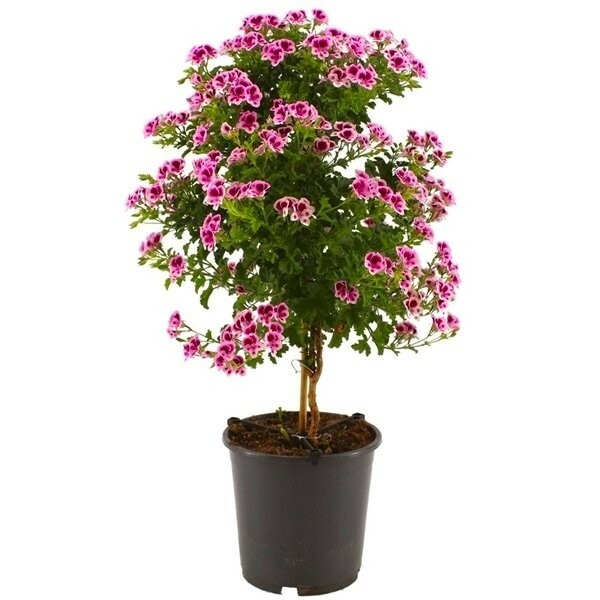 It will reach a height of around 80cms, and is supplied as a nice size as pictured with flowers and buds in season in approx. 4-5 litre containers at around 50cms tall.